We are back with another Reader feature. She is not only beautiful but has a great taste in sarees. I am already crushing over her saree pics. So scroll down and read what Priyanka has to say today. First of all Hearty Congratulations Aditi on your fourth blog anniversary. I highly appreciate this opportunity to share my love for sarees. I’ve been following So-Saree for a while now and I must say I am totally in love with it. Kudos to Aditi for motivating us to wear sarees more often. 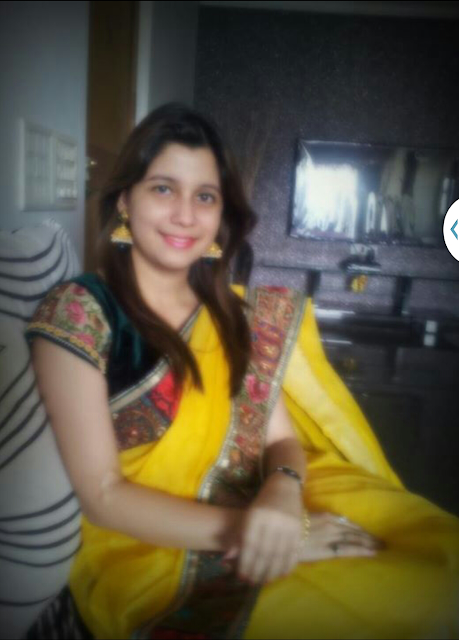 My love for sarees has multiplied zillion times. Finally my views on Saree ..
Saree… brings fond memories of seeing my grand mom and mom adorning this beautiful attire in my growing up years. As a child I was always amazed, how my mom used to drape a saree, it was so fascinating. My first encounter of draping a saree (mom’s best saree) was in my school for our tenth grade farewell function. When I started working, I had my colleagues who were big fan of sarees and carried it so gracefully. 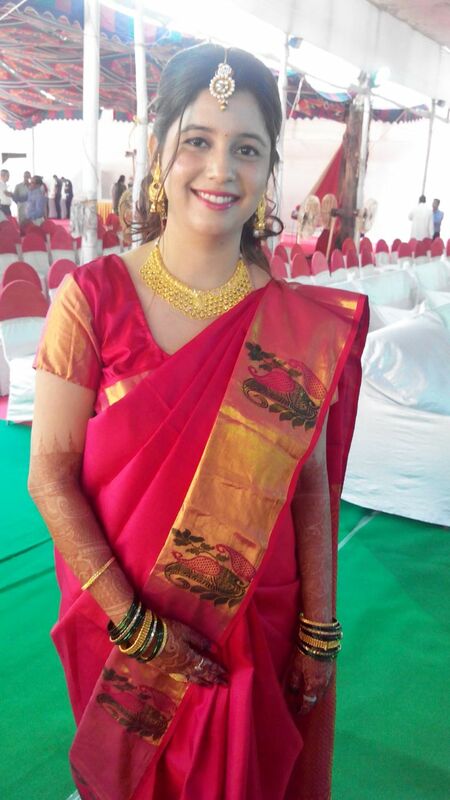 So people around me clad in beautiful sarees made lasting impression on me. My love for sarees kept increasing. After that there was no stopping, I draped sarees on many occasions or rather I used to wait for such occasions. Each saree in my closet has a special memory. Some are of childhood memories; some are love at first sight (purchases made by me) and then the most important turning points of my life - my engagement, wedding, reception and recently for my baby shower. I just love these beautiful, rich silk creations from South India. 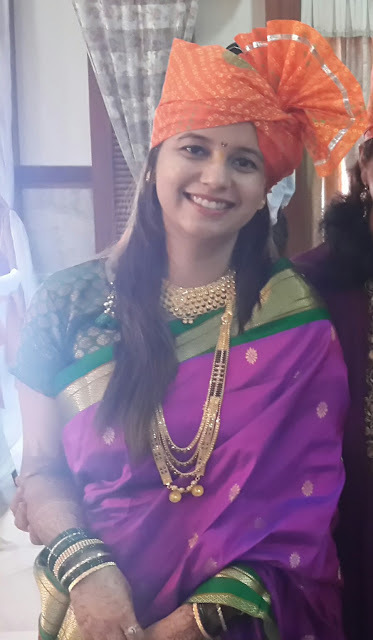 But being a Maharashtrian my all time favourite is our own Paithani. Being a crazy saree lover, that I am, have started designing sarees as a hobby. You can never go wrong with a saree and rely on it to make you look pretty no matter what drape, style or type of saree you wear. A well draped saree can make you look graceful for any event. It connects you to our beautiful tradition and culture. Priyanka .. you look gorgeous! Love the first saree.